Graeme Robert Addie died peacefully at home on November 16 in Augusta, Georgia, at the age of 76. Graeme is survived by his wife of fifty-one years, Jenifer Addie; children: Andrew Robert Addie, Robyn Kathleen Addie (Harry Abernathy), and Emma Addie Slater (Brian); grandchildren: Alison Addie, Dorothy Addie, Colin Addie, Chloe Addie, Graeme Slater, Addie Slater; his brother: Ronald Geoffrey Addie of Toowoomba, Queensland, Australia. He is preceded in death by his father: Robert White Addie of Eltham, Victoria, Australia; his mother: Dorothy May Addie (nee Pain) of Eltham, Victoria, Australia; and his brother: John William Addie of Ringwood, Victoria, Australia. Graeme was born on June 17, 1941, in Melbourne, Victoria, Australia, to Dorothy May and Robert White Addie. Graeme graduated from Box Hill High School in Melbourne, Australia, in 1959. He began working for Cameron and Associates in 1965 in Melbourne, Australia. He married Jenifer Jones, whom he met at a dance, in 1966. 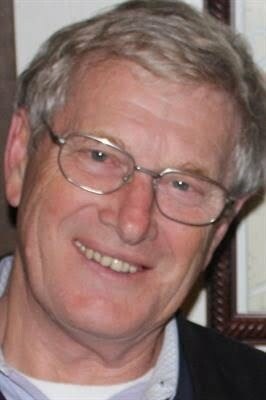 He graduated from the Royal Melbourne Institute of Technology in 1967 with a degree in Mechanical Engineering. Upon receiving his degree, he began working for Kelly & Lewis as a design draftsman. He remained there for ten years, the last four of which he worked as Chief Engineer. Graeme became a member of the Institution of Engineers, Australia, in 1971. After moving to Augusta, Georgia, in 1976, Graeme began working for Georgia Iron Works as Chief Engineer. In 1980, Graeme earned his Professional Engineer license and was named Vice President of Engineering, a position he held until his retirement in 2010. His children remember him as a kind, caring, dedicated father who encouraged them to pursue their goals. There will be a visitation, on Monday, November 20 from 5:00 - 7:00 pm at Thomas Poteet & Son Funeral Directors on Davis Road in Martinez, Georgia. Funeral services will be Tuesday, November 21 at 11:00 am in the chapel of Thomas Poteet & Son, with a reception to follow at the family home, 3547 Bellerive Circle, Martinez, Georgia. Sid Gates will officiate the ceremony. All are welcome to attend and celebrate Graeme's life. In lieu of flowers, please send donations to Ronald McDonald House Charities of Augusta at 1442 Harper Street, Augusta, GA. The family would like to thank Paul Smith and Teresa Babatunde for their care and dedication to Graeme.